Since September 2018 Herdwatch, the market leading farm management app which is now helping over 10,000 farms across the UK and Ireland is available to farmers in Northern Ireland. The new Move-Off feature now available to NI users will send the intention to move out to a Farm, Market or Abattoir directly to APHIS. The new Movements feature now available to all Northern Ireland Herdwatch members will send the intention to move out to a Farm, Market or Abattoir directly to APHIS from the app. The app which works off-line simplifies movement compliance for Northern Ireland farmers and allows peace of mind when it comes to farm compliance. Herdwatch helps farmers record their farm compliance and management information on the spot, eliminating the need for duplicate recording and ensuring that farm records are 100% accurate. Herdwatch is fully approved by Department of Agriculture, Environment and Rural Affairs (DAERA), complete integration with APHIS and complies with Farm Assurance standards, meaning that Northern Ireland farmers have only to enter their information on the app in order to be compliant. 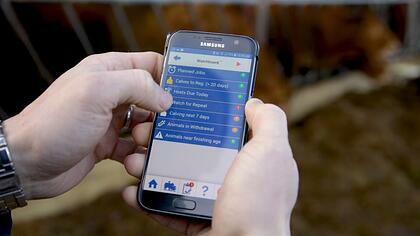 Earlier this year, Herdwatch introduced another new feature to livestock farmers called the Farm Medicine Scanner. With this clever innovation you can now simply scan medicines into the Herdwatch app using your phone’s built-in camera. This means that any animal medicine with a barcode or QR code can be scanned straight into Herdwatch. As each medicine is scanned into the app the quantity purchased is also recorded, allowing the farmer to see how much medicine they have in their cabinet at any time. Farmers can then see where that medicine was used, what animals were treated with it and it and how much they received. 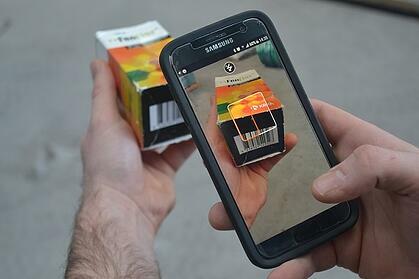 Scan the Barcode or QR code on a medicine box to record the purchase. The Herdwatch Watchboard shows every job that needs attention to in one place. Here farmers can track items like cows due to repeat, cows calving soon, animals in withdrawal, and planned jobs. If you have something due on your Watchboard for today, then Herdwatch will send you a notification informing you that you have tasks that require your attention. The Watchboard will send you a push notification when you have an item that needs attention.